Installed at the Insitute For Exploration in Mystic, CT, this is a tribute to the great ship and Dr. Robert Ballard's discovery and exploration. Just the floating camera and the music tell the story with no need for narration. As extended shots reveal different parts of the ship, a wireframe animation orients us and historic photographs display each section during construction. 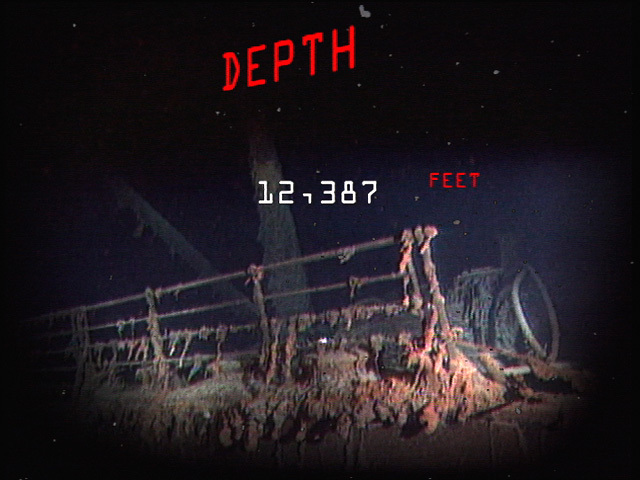 Viewers feel like they are floating at 12,000 feet depth in the North Atlantic. This multiscreen film utilizes a modified Pepper's Ghost technology. Through synchronized projections of media layers onto a front scrim and a rear screen, viewers experience what we call a Spatial 3D effect without needing to wear special glasses.